That looks great. Do you deliver? What Three Dog BBQ said! Three Dogs BBQ & Greg, the delivery area is limited to, from the flat top to the dinning room. sorry. 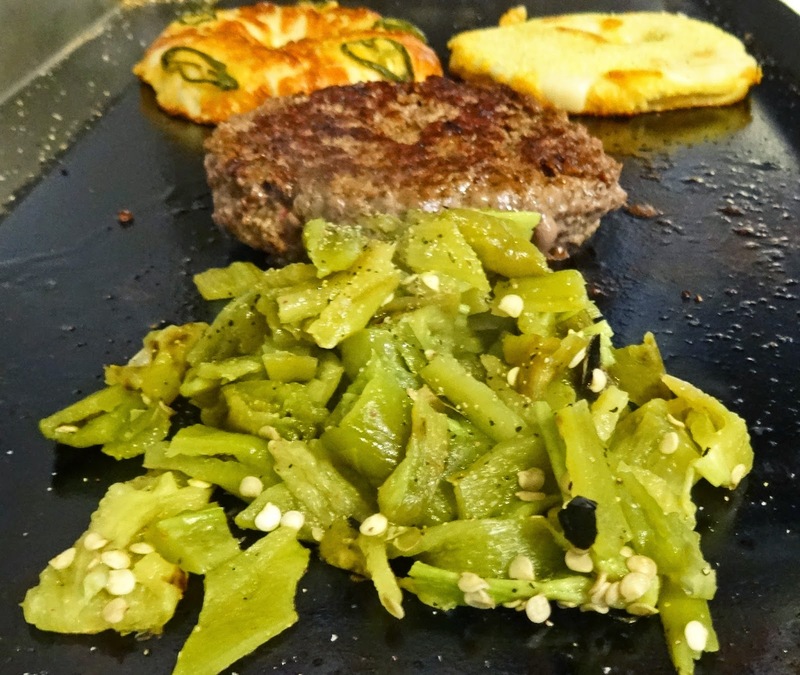 That's what I want to do on our burgers today, I can just smell those roasted chiles. Was going to do them on the flat top, too. 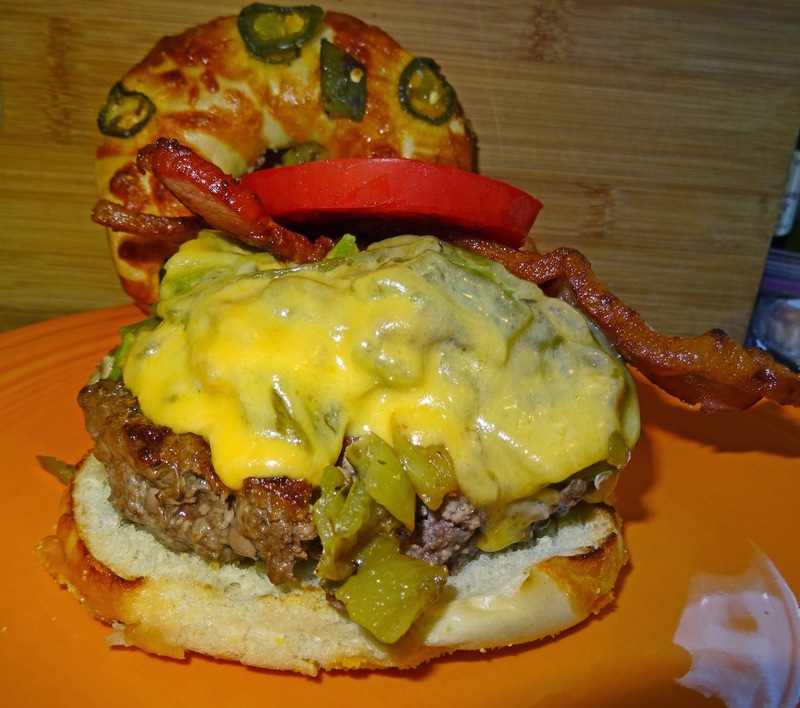 That jalapeno bun looks awesome! I don't know which looks better, the burger or the roll, but I can imagine how good they were together. Chris, Roasting chile's do have an intoxicating aroma. Sometimes the flat top is the way to go. Big Dude, These rolls are baked fresh daily right down the street from us. They are cheap and addicting. This burger just may be on my table tomorrow. Yay for Hatch Chile and Football Season. Yes, it appears that I've made a miraculous recovery from the Superbowl, it only took 8 months. Lea Ann, Yes it is the beginning of the new season. A clean slate is just what we need. I am ready for some football. greatwhite hunter, Yeah we could cook some burgers or some BLT's. Give me a call and leave Three Dogs BBQ alone you creepy uncle like person. Why do you say out? Why not farewell or too-doo-a-loo? Is it because of your deep down love of the jargon from the salt mine?